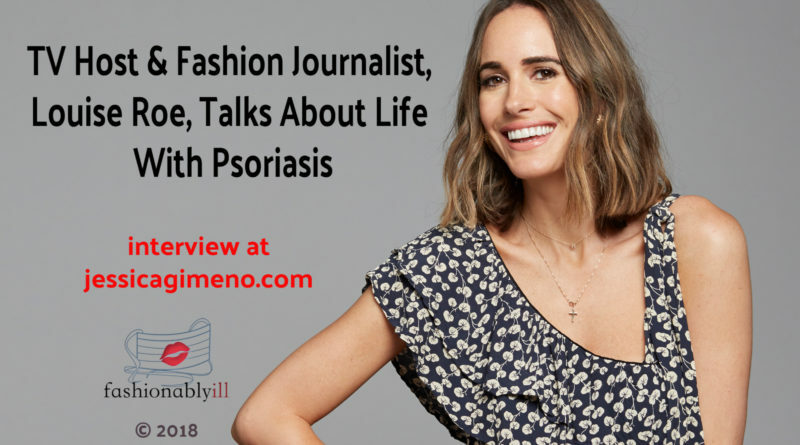 This is an interview with TV host & fashion journalist, Louise Roe, regarding INSIDE PERSPECTIVE, a new campaign she launched on October 24, 2018 in collaboration with Celgene and Otezla®. In the video, Roe shares her inside story of living with psoriasis for more than a decade. INSIDE PERSPECTIVE aims to raise awareness about psoriasis (PsO), help educate audiences that although the condition appears on the surface of the skin, it is an autoimmune disease which starts inside the body, and highlight the importance of tackling treatment from within. Sitting next to Louise Roe is Gary Goldenberg, MD, Assistant Clinical Professor of Dermatology at The Icahn School of Medicine at Mount Sinai Hospital in New York City. You can find a transcript of the interview right below the video. This interview was transcribed by Kristina Alicia. You can follow Kristina on Twitter; her handle is @TowardsLessHarm. Disclaimer: This site is not giving medical advice. I am not a doctor. The video mentions some treatment options that may or may not be right for you. I do not have personal experience with them, but if you have psoriasis, you can ask a physician if these treatments are right for you. Seated side by side in white, wooden chairs are Louise Roe and Dr. Goldenberg. There is a small, white table between them with yellow flowers in a circular vase. Dr. Goldenberg is white male with dirty blonde hair. He is dressed in a blue suit with a red and white tie. His cadence is pretty even. Louise is a white, British woman with brown hair. She is dressed in an asymmetrical, blood orange/flamingo-colored dress. She speaks with a British accent. She speaks a bit faster than Goldenberg. Each of them conducts this interview with their legs crossed and their hands in their laps. (0:00) Interviewer calls in (not seen on screen): Hi, guys! So, my first question is for Louise. How did you feel when you first diagnosed? And how long have you been living with psoriasis? And how did you feel dealing with it initially? (0:12) Louise: Um, I was diagnosed about 10 years ago. And I definitely ..errr… I went through a gamut of emotions. I think at first of slight denial. I definitely left it a few weeks before I even went to the dermatologist because I thought it might just go away. And I had no idea what it was. And then, I felt quite frustrated. I know a lot of people feel, like, sad, but I was more angry. And I think I was just a bit upset that it’s a…. a chronic disease i.e. (gestures with emphasis) it’s genetics so you don’t cure it unfortunately. (0:49) But! That being said, I have come a long way since then (smiles) and um throughout the years, figured out ways to……Stress is a big trigger for me, and for a lot of people that I’ve spoken to. And so I try and manage that in various ways. Um, also, talking to people has massively helped. This is the first time I’ve spoken publicly about it. And I’m hoping that by raising awareness people will feel more supported and also informed, because there is a lot of misinformation out there, too. (1:18) Interviewer: So great. How do you manage staying in the public eye while also dealing with your psoriasis? Louise: Um, in regards to actual physical jobs, the practicality of going out on the red carpet and doing interviews, I have figured out how to cover up various areas, um, of my body, if I’m having a flare-up. Um, often I’m not having a flare-up, so I don’t need to worry about it all the time. (1:41) But! (laughs) I, I definitely…. I have… I’m lucky enough I have a big closet (laughs) so when I’m styling looks, I have different choices. Um, and it’s not just about the coverage of clothing, but it’s also the material- How scratchy is it? What kind….Is the air very dry and cold? That’s worse for me, certainly. So going back to England for example, can be trickier in the winter. Um, but I definitely am adept at this point in (laughingly) the way I dress myself. (2:10 ) Interviewer: Great! How did you get involved in the campaign and why is it important for you to help spread awareness of psoriasis? Louise: I became involved in this campaign with Celgene and Otzela. They approached me and explained. We had a long chat about the nature of this campaign. It’s called Inside Perspective which has a two-fold meaning. (2:29) Which has a two-fold meaning. You know, first of all: It’s … I guess the medical (gestures) definition that psoriasis starts inside the body- not on top. And it’s not contagious. There are a lot of these misnomers that I think is important to clear up. And second of all, the idea that you can change your perspective of psoriasis, whether you’re a sufferer or a friend, or a relative of a sufferer, it’s super important for me to talk about it. You know, get rid of the stigma or at least attempt to do so. And uh, and by doing that, changing someone’s perspective, they will be able to manage their symptoms better and have a better quality of life, and not feel like it’s knocked their confidence so much. (3:09) Interviewer: Thank you. So lastly, what’s the one piece of advice you would give to someone who’s recently diagnosed or struggling with psoriasis? I’d say, “You’re not alone. 7 and a half million Americans suffer from psoriasis. Ummm, don’t just Google it! I think it’s just uh, a black hole out there of misinformation. Go, uh, I would advise to PSOperspective.com which is where you can learn about my story, but also get legitimate medical advice. Um, do see a dermatologist. Don’t wait like I did. Go in and see someone. Because whether you do or don’t have it, then they…uh..they will be able to tell you that for certain. Otherwise you’re kind of just clamoring around, guessing. Um, and yeah, I think just try and be as positive as possible. Look into the holistic approach. I know Dr. Dr. Goldenberg is also a huge, you know, an expert in that field as well. (4:01 ) Interviewer (eagerly): That’s great. I actually have a couple questions for him as well. Dr. Goldenberg, how do you determine what treatment is best for each person who comes in with psoriasis? Dr. Goldenberg: Thank you. Well, the great thing is that we have so many more treatments now than we had even ten years ago. The treatments that we have, have gotten a lot better. So we’ve made really amazingly, uh, big strides in the quality of care that we can provide because of that. And I think what’s important, is that every patient is treated as an individual, because the treatment that may be right for one person, will not be right for the next person. And these treatments really vary. They vary from things like topical creams and lotions to a pill called Otezla or Apremilast is approved by the FDA for moderate or severe plaque psoriasis to biologic injections. (4:50) And I also think it’s important to talk to your dermatologist about life-style modifications and perhaps even diet. And just take that holistic approach and really having the right information is just so important. 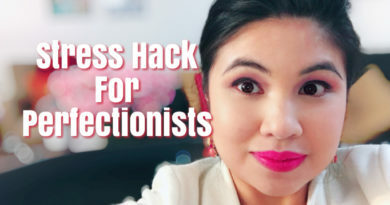 So like Louise mentioned, I would encourage your viewers to go to PSOperspective.com and arm themselves with the right questions so that when they do go see their dermatologist, they have all the information they need to make the right decision for them. (5:19 ) Interviewer: Great, you actually answered my second question in that question. So, that’s it for me. Louise AND Dr. Goldenberg (simultaneously-ish): Thank you so much!